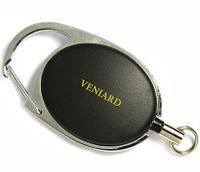 60cm retractable line with a clip to attach to a d ring, vest or lanyard. Lightweight, with a wire cord and pin clip. 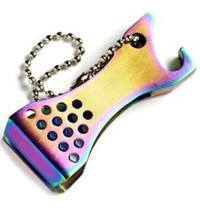 Smart nippers with tungsten carbide jaws and a good looking petrol finish. Perfect as a gift, A lovely set for the fly fisherman who appreciates the finer things in life. 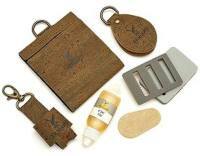 Comes boxed with Cork Amadou patch, Cork floatant holder, CDC Oil, Cork fly Wallet with Wet & Dry fly foam patch and Line straightener. 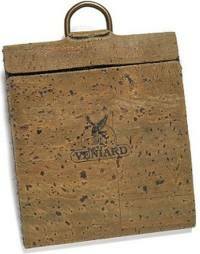 Two top quality Amadou pieces encased in a great looking cork case. 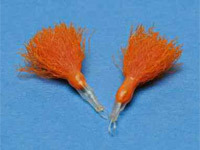 One standard for wet flies and one slotted for dries. 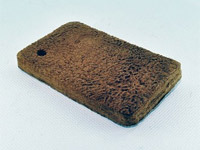 A cork patch with a very strong internal magnet and a clip for attaching to a vest, jacket etc. 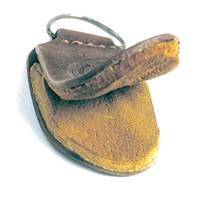 Great for holding clamps, scissors, snips, flies or anything else made of metal. An 8 x 5cm piece of pure Amadou.The best way to dry a fly. A fine grit aluminium oxide stone with indentations for aligning hook points. 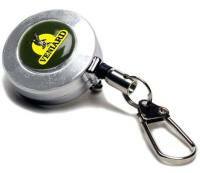 Mounted in a plastic case with anchor hole for attaching to lanyard, zinger or vest. High Visibilty purpose made indicators. 5 pieces mounted on a very easy to use threader. It has take several years to develop this product. 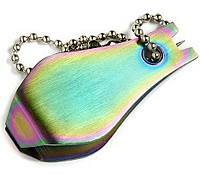 The cutting blades are Tungsten carbide inserts which cut smother and stay sharp longer than any other edge. These are the best snips you can buy. 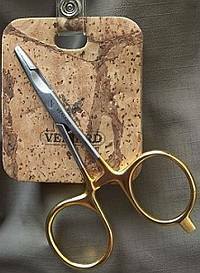 Top quality snips made to the same spec as gold loop tools. Great for cutting leaders. With a needle for clearing hook eyes or picking knots. Oil - A CDC Oil in a handy dispenser. Great for re applying oil to your fly to give them a recharge. Gel - A thicker oily CDC grease. Works as a barrier cream to keep your fly waterproof as well as recharging the oil. 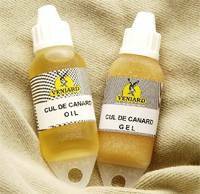 CDC Oil is used as a barrier cream, a drop on the fly will protect it from fish slime. 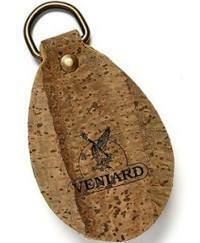 The oil comes in a small bottle which can be attached to the fly vest.